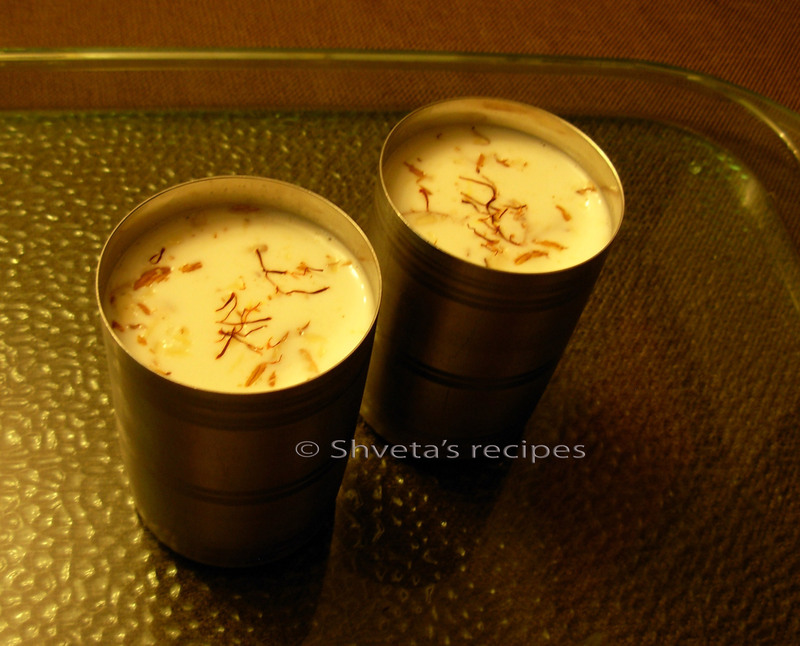 These snacks are mostly prepared during festivals. 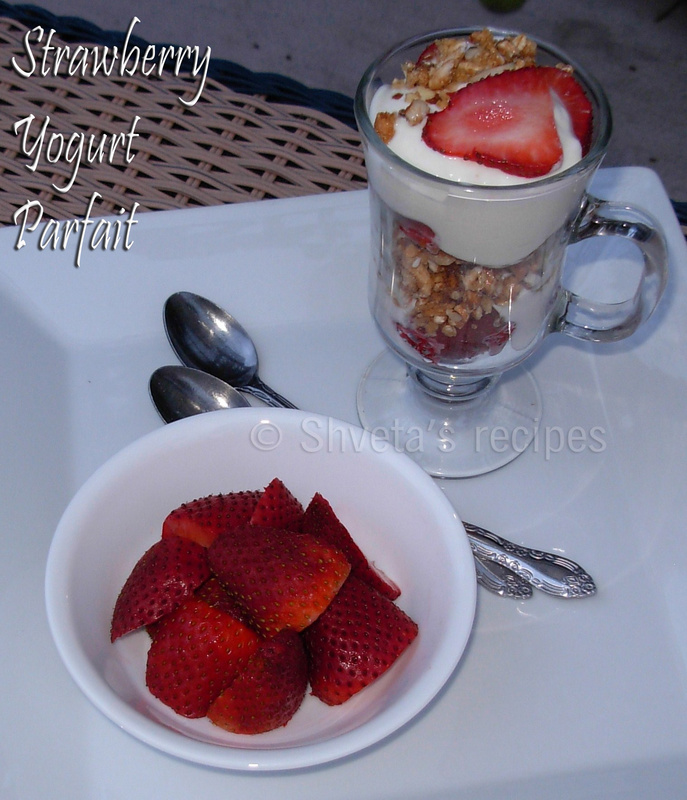 But being such an easy recipe it can be enjoyed any time. Namak pare brings back lots of childhood memories. In our house hold, we enjoyed them year round. Thanks mom for such a wonderful snack! In a large bowl, add all purpose flour and semolina. 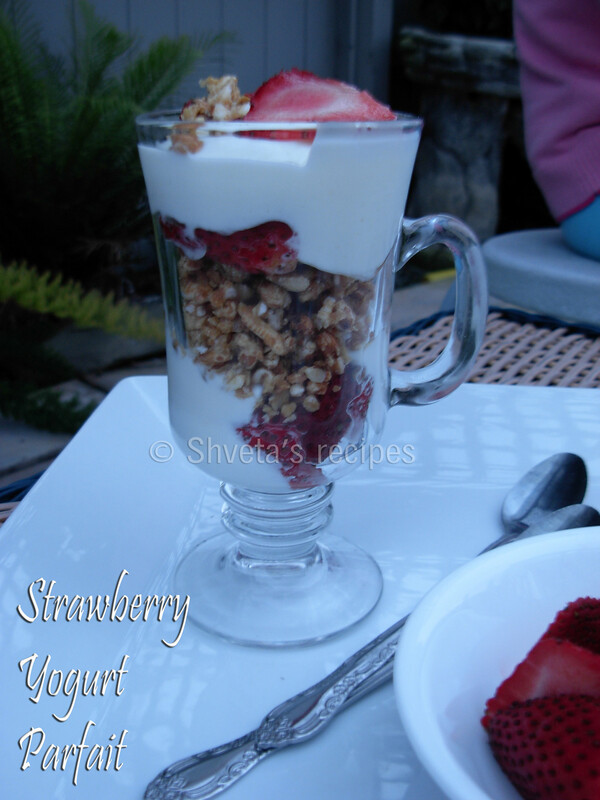 Now add carom seeds, yogurt, 2 tbsp butter or oil and salt. Knead it into a little stiff dough using very little water. Keep aside for 15 minutes. Now divide the dough in 6 parts. Roll each part into a ball and keep aside. With the help of rolling pin roll each ball into 10 inch diameter circles. Cut these circles into thin strips and cut them again into 2-3 inch length. Deep fry these pieces till light golden in medium hot oil. Drain them on kitchen towel and let them cool completely. Store these snacks in air tight containers for longer shelf life. 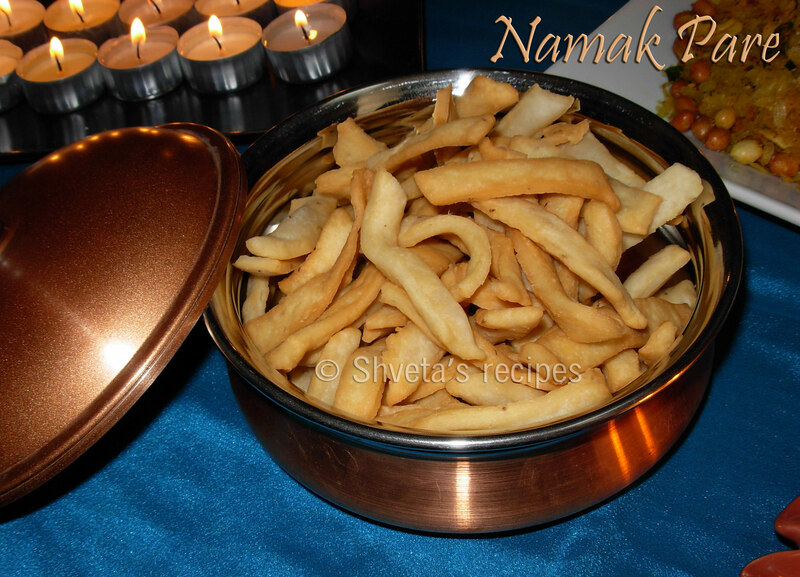 Enjoy Namak Pare with a cup of tea or your favorite drink anytime of the day. “Seekh” means skewers and “kebab” means patties, so seekh kebab is patties on the skewers. Usually kebabs are associated with non vegetarian food category. 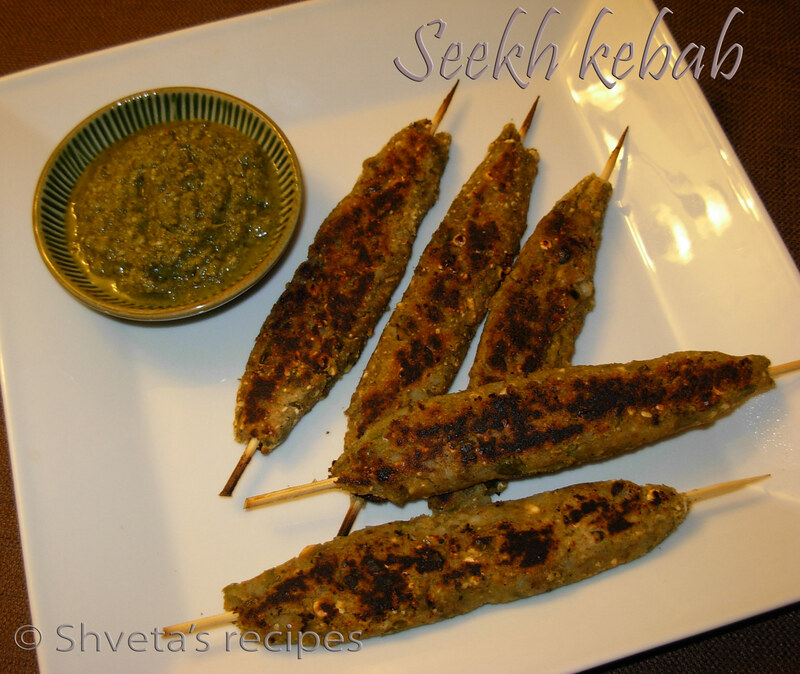 But these crispy flavorful seekh kebabs are made from vegetables and chana (gram). Grind roasted chana dal and keep aside. In a pressure cooker, cook green chana, green peas, carrot and potatoes. In a bowl, add cooked green chana, green peas, boiled and peeled potatoes and cooked carrot. Mash them well together and keep aside. In a pan, heat 1 tbsp oil and add ginger garlic paste and sauté for 2-3 minutes. Now add mashed vegetable mixture, all the dry spices and salt. Mix well. Sauté for 3-4 minutes and take it off the heat. 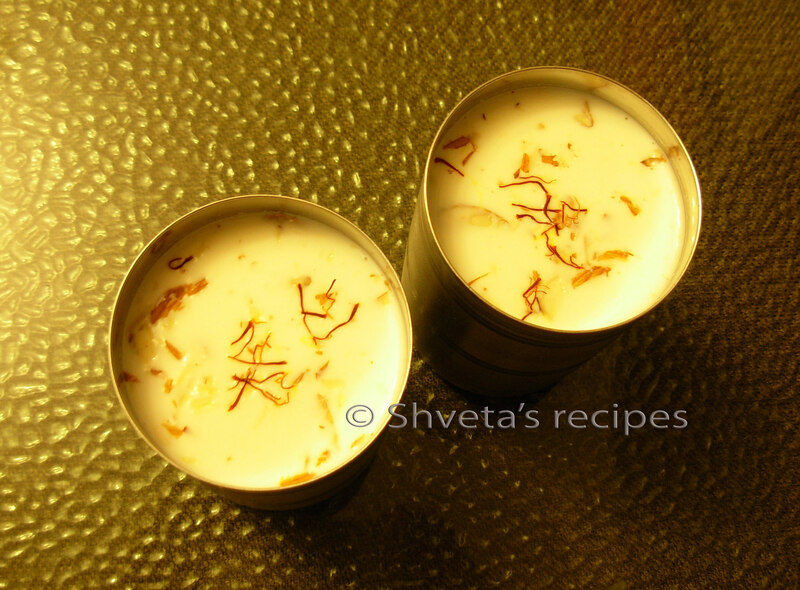 Take the mix in a large bowl and gradually mix roasted chana dal powder to it. Make it into dough like consistency. Take a lemon size mixture in your hand and place skewer in it. Now gently but firmly spread the mix evenly on the skewer. In a wide shallow pan, add little oil and place these kebabs in single layer on medium heat. Let it become golden brown and crisp on one side and then turn them on the other side. When kebabs are evenly golden brown and crisp, it is ready to serve. 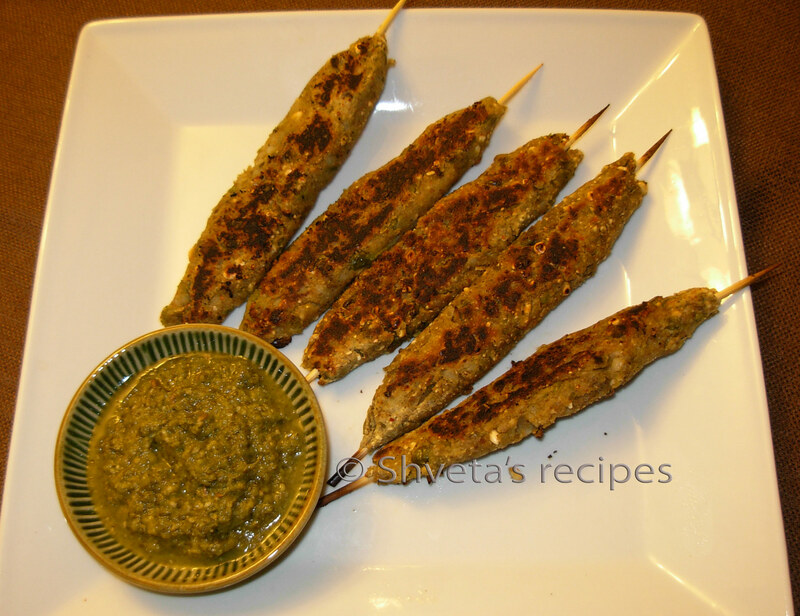 Enjoy these seekh kebabs with green chutney or tangy tomato chutney as an appetizer or evening snack.